Inspirational favors are a perfect fit for any occasion. 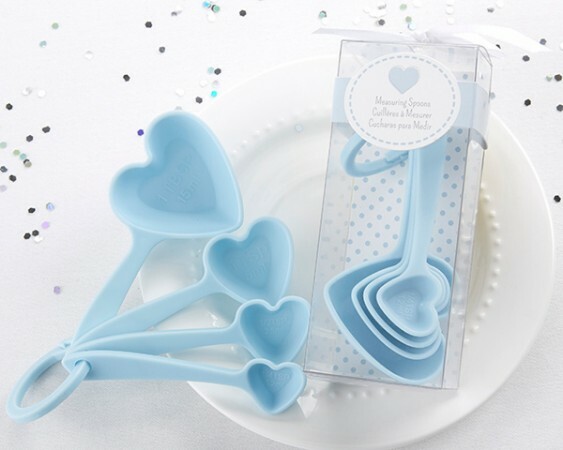 So whether youre celebrating the Christening or First Communion of your own little angel, adding a blessing to the marriage of a happy couple or anything in between, these angel bookmark favors really shine! 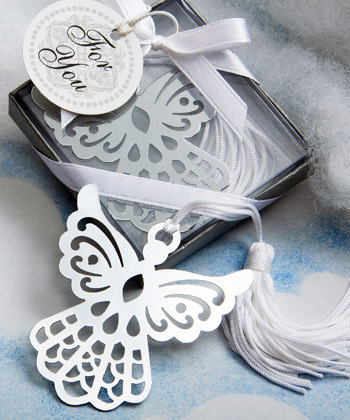 From the Book Lovers Collection, each angel favor measures 5" x 1.75", including tassel, and has a silver bookmark in the shape of an angel with outstretched wings, enhanced with cutout details and topped with a cloth tassel attached at the halo. Each comes packaged in a Book Lovers Collection clear topped box with a silver base and white inside, tied with a white satin ribbon and an attached filigree design "For You" tag.